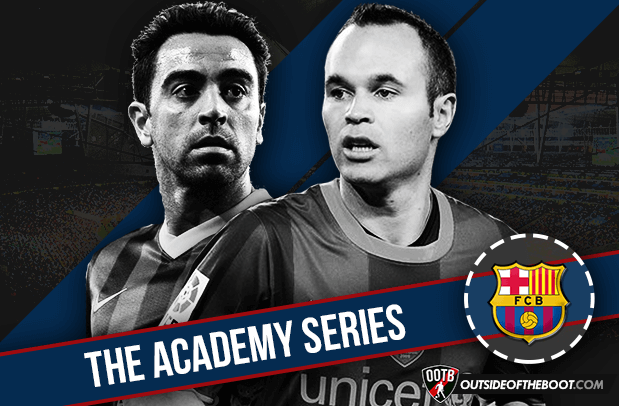 This part of this series takes a look at Barcelona’s famed La Masia. FC Barcelona’s La Masia is renowned in football and with good reason – it is undoubtedly one of the best youth academies in the world. The training regime at La Masia focuses on performance over results. With good performances, victories and trophies will arrive in due time. Parents are instructed to ask the youth players, their kids, whether they played well instead of “did you win?”. This has bred a philosophy-centric education system at Barça. The implementation of concepts from Total Football by Johan Cruyff focuses on technical ability and football intelligence – players being trained to make the best decisions on the pitch, having the technique to execute ideas which were seen and thought of a few steps in advance of their opponents. Out-thinking and out-playing rather than out-muscling the opposition. Pep Guardiola’s era as coach of FC Barcelona has been feted the world over – from the metronomic passing of Sergio Busquets, Xavi and Iniesta and the fearless defending of Carles Puyol to the sheer brilliance of Lionel Messi. All that did not happen overnight. Till 2011, the Masia residence was an old country residence. With the natural growth and expansion at the club, a move was made to the newly-opened Ciutat Esportiva Joan Gamper. 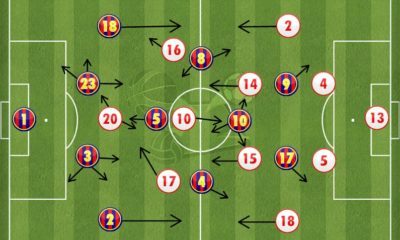 The brainchild of Johan Cruyff, La Masia has been a fundamental building block of Barça’s success over the past decade. La Masia has been the lifeblood, the very soul of the Catalan giants. The symbol of Barça’s philosophy. The metronome of one of the best ever teams on the international stage. Xavi can be called many things and has been widely praised. The best part of it all? He fully deserves every last bit of praise and admiration that he receives from footballing greats like Johan Cruyff, Pep Guardiola and Sir Alex Ferguson et al. From winning the U-20 World Cup, the World Cup and two European Championships to four Champions Leagues, Xavi has done it all. The only thing missing from his trophy cabinet would be a Ballon d’Or. He may not have won the Ballon d’Or, but he has a special place in the hearts and minds of not just culés but football fans the world over. Xavi holds the record for most senior appearances for Barça and has been a majestic playmaker in the pantheon of footballing greats. We can’t speak of one without mentioning the other. Andrés Iniesta is the other half of the irrepressible “Xaviesta” partnership that was the cornerstone of Barça’s and Spain’s astounding success over the past decade. Scorer of the goal that clinched Spain their first ever World Cup title, the kid from Fuentealbilla has come a long way since being that softly-spoken boy in La Masia who Victor Valdes took under his wing. The only reason Iniesta has not won the Ballon d’Or is the existence of a certain Lionel Messi. Sir Alex Ferguson once described Iniesta as being able to “get you on a carousel and leave you dizzy”. There is a subtle wonder and joy in that “dizziness” and one that football fans have enjoyed for many years and, hopefully, many more to come. I don’t think I’d have to explain Lionel Messi’s inclusion in this list. La Pulga has transcended his generation and has, for much of the past decade, been compared to historical greats like Pele and Diego Maradona. What Messi brings to the table is unique in the history of Barça and La Masia. The four-time Ballon d’Or winner is the perfect synthesis of the biggest mass producer of football talent at the highest level – South American street wasteland football – and top notch European coaching in Barcelona. The Argentine has broken record after record after record. The football world will mourn the day he hangs up his boots. A legend in every sense of that word. Widely regarded as the best goalkeeper Barça have ever had, Víctor Valdés had to endure much criticism during his early years at Camp Nou. His comfort and composure on the ball, as well as his ability to play it out from the back, made him the perfect player between the sticks for Barça. Valdés’ skill set as a sweeper-keeper allowed for a higher defensive line, hence enabling the likes of Xavi, Iniesta and Messi to play higher up the pitch. The 5-time winner of the Zamora trophy – for the best goalkeeper in Spain each season – was effectively an 11th outfield player at Barca. In 2014, after a comprehensive study of goalkeepers since 1928, the Spanish Centre for Football History and Statistics (CIHEFE) named Víctor Valdés the best goalkeeper in the history of Spanish football. An unsung hero, the often maligned Sergio Busquets has been a vital component of Barça’s success over the past decade. Since making his first-team debut in 2008, he has time and again proven himself as one of the best holding midfielders in the world. Busquets broke into the Spain starting XI within a year of his Barça debut. Busquets has since then been one of La Roja’s most important players, providing the platform for the likes of Iniesta and David Silva to weave their magic further up the pitch. In 2014, Busquets was named as one of Barça’s four team captains. He also had the honour of being named by Carles Puyol as his successor in the number 5 shirt. Pep Guardiola once called him “the most intelligent player I have ever coached”, as his tactical intelligence sets him apart from his peers as a special player. Busquets reads the game with consummate ease and is always a step or three ahead of the opposition. Alongside Carles Puyol at the heart of Barça’s defence, Gerard Piqué has been a top performer for Barça since returning from Manchester United in 2008. His comfort and composure in possession is uncanny for a centreback, while his passing ability has been a key component of the team’s build-up play from the back. Piqué also offers an aerial threat that is rare in the team and has often been pushed further forward as an emergency centre forward when the Blaugrana are chasing a result. The Catalan’s dominant displays in defence have contributed significantly to the trophies that have been brought to Camp Nou by the bucketload and have also led to two European Championships and a World Cup with Spain. Carles Puyol was the leader of the best team in Barça’s history. He was the living embodiment of the word “leader”. 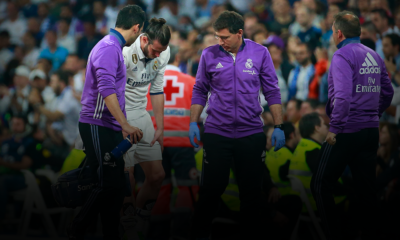 The Catalan put his body on the line time and time again for the greater good of the team. Puyol was one of the best defenders of his generation, with his astute reading of the game and aggression in the tackle. He might not have been as great a passer of the ball as Xavi, Iniesta or his defensive partner Gerard Piqué, yet what Puyol brought to Barça was arguably as important as all the technical and visionary brilliance. Puyol embodied the team’s intense, fiery passion and will to win. He had the heart of a lion. Pedro Rodriguez might not be as talented as some of his contemporaries on this list. However, what he contributed to Barça’s success since making his debut under the moniker “Pedrito”. 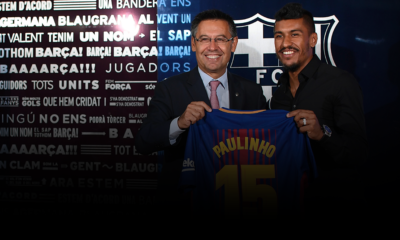 The Spaniard has the knack of scoring crucial goals, be it crucial equalisers in cup finals – such as against Estudiantes in the 2009 FIFA Club World Cup – to the opening goal in the 2011 Champions League final, Pedro has achieved great success at Camp Nou. With five La Liga titles and three Copa del Reys, amongst other trophies, the three-time Champions League winner was highly-valued by his team-mates at Barça. Messi’s words about Pedro, before his departure this past summer, succinctly encapsulate intense work ethic and overall contributions to Barça – “He deserves everything for all that he’s given and continues to give to the club”. Cesc Fàbregas is a footballer who divides opinion among culés. Returning to the club in 2011, he was unable to truly make his mark at the club. 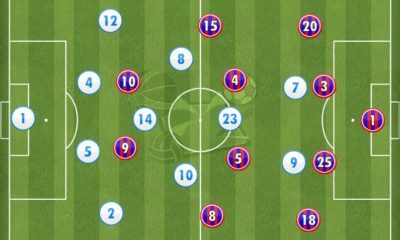 Fàbregas was shifted around the pitch positionally – central midfield, wide right, wide left and as a false 9 – as Pep sought to maximise his talents for the best of the team. Fàbregas left Barça in 2014 having won, amongst others, a league title and a Copa del Rey. His true successes in football have been in England and for Spain. Breaking through at Arsenal as a precocious teenager, Fàbregas eventually became captain of Arsene Wenger’s side in 2008. In 2014/15, the Catalan midfielder was one of the driving forces behind Chelsea’s Premier League-winning campaign, finishing the season top of the assists leaderboard. With Spain, Fàbregas has won two European Championships and a World Cup. The crowning glory on all that would be his assist for Iniesta’s winner in the World Cup final in 2010. Once thought of as Xavi’s natural successor at Camp Nou, Fàbregas’ characteristics had unfortunately been changed too greatly by his time in English football. He was unable to succeed at Barça but is still one of the best youth products from La Masia since the turn of the century. Thiago Motta was plagued by injuries at Camp Nou but, since leaving, has achieved great success at Inter and PSG. He came through Barça’s youth ranks as a creative midfielder but has evolved into intelligent holding midfielder who can both outplay and outfight his opponents. Motta was a quietly impressive and vital cog in José Mourinho’s treble-winning Inter side. At PSG, he is the base of one of the best midfield trios in the world. Motta does the dirty work which allows the likes of Blaise Matuidi, Marco Verratti and Javier Pastore to play with freedom in attack. Motta has great defensive discipline in anchoring a midfield, yet also possesses the technique and technical ability to be a great passer of the ball. As one would expect, there are quite a number of talented prospects currently learning their trade at La Masia and Barça B. The most prominent names would be Sergi Samper and Alejandro Grimaldo. Samper is a precocious talent, at his best as the pivote or higher up the pitch. His ease in possession and tactical intelligence allows him to always be a couple steps ahead of his opponent. Grimaldo is quite the talent as well. In the mould of Dani Alves, the fullback dominates his flank with his energy and technical ability. He is an adept set piece taker and made his debut for Barça B as a 15-year-old in the Spanish 2nd-tier. Look past Samper and Grimaldo and you’d find players like Wilfrid Kaptoum and Lee Seung-Woo. Kaptoum recently made his senior debut in the Copa del Rey against CF Villanovense. The Cameroonian midfielder was one of the bright spots in an otherwise disappointing 0-0 draw. 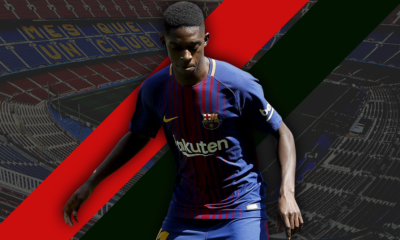 Kaptoum has been a hidden gem of La Masia since joining from Samuel Eto’o’s foundation and has been compared to Iniesta. The flamboyant South Korean Lee is one of the youngsters currently suspended by FIFA. He will join up with Barça B after he turns 18 in January. Fullback Sergi Palencia made his debut and was one of the few bright spots in the 2014/15 season that ended with Barça B’s relegation from La Segunda. In central defence, Spain youth international Rodrigo Tarín is a prospect. In the lower age categories, players like Carles Aleña, Álex Collado, Théo Chendri, Iñaki Peña and Oriol Busquets (no relation to Sergio) are ones to keep an eye on. The path from La Masia to the Mini Estadi to Camp Nou has hit a few bumps lately, but the talent is there for another crop of youngsters to breakthrough and shine in that famous Blaugrana kit.